A quirky little rule of thumb in improvisational theatre is, ‘yes, and…’. It’s the idea that by accepting someone’s truth onstage, you learn more about the scene; if someone asks whether they can sit down to receive their results, you know that you’re in some kind of office and that you have power over the other person because you have their ‘results’, so now you must decide what those results are. If your scene partner says there’s a dinosaur behind you, you better scream. Replying that you can’t see a dinosaur will kill the scene. The real world isn’t so different; if you acknowledge whatever is thrown your way, it becomes a little easier to move forward. In Big Think, professor and CEO Bob Kulhan explains that the concept is critical to creating a safe working environment. He writes that it encourages colleagues, teammates and clients to articulate their perspective freely. It’s not just about the validation of a ‘yes’ or the decision-making of a ‘no’, it’s the inference of two-way communication. By saying ‘yes, and…’, you can engage with the other person’s perspective more effectively. 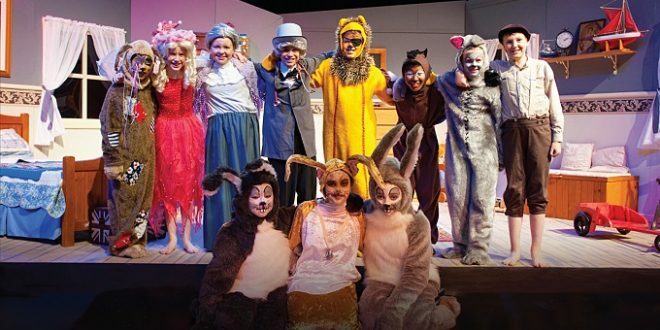 In school, theatre is a uniquely collaborative and creative endeavour that can include students of all abilities and ages. 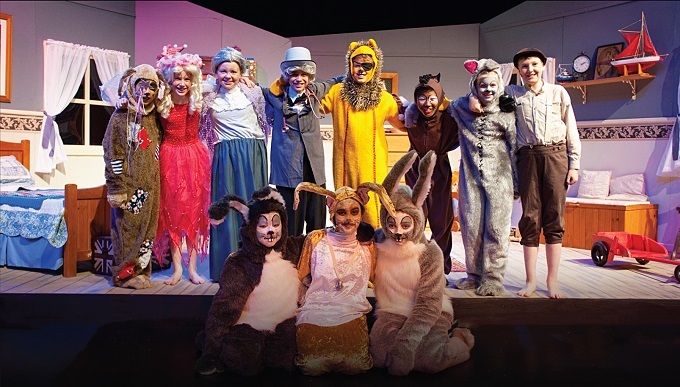 It’s not uncommon for schools to combine year levels in an end-of-year production and the number of different roles both onstage and behind the scenes mean there’s something for every child to do. Everyone can feel valued and benefit from creating something audiences applaud as the house lights flick on. That’s not to say there aren’t difficulties. A lot falls on a teacher’s shoulders to plan and manage, and it’s no easy feat. These are all fairly common issues that plague any school performance, particularly the full-scale musicals. The first might be surmised as ‘commitment issues’: it’s hard to make sure all the students attend every rehearsal. 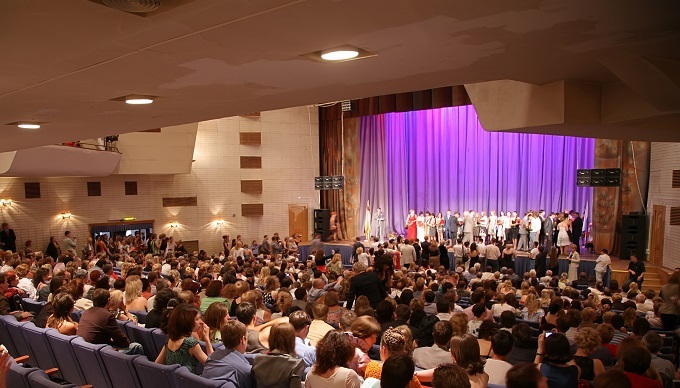 Some tips School News received from performing arts schools include: make students (and their parents) aware of rehearsal dates before they join the cast or crew; have understudies for the main roles and encourage them to motivate each other’s attendance; incentivise each rehearsal with something like a 10-minute theatre game or small reward for being the first arrival. Depending on your chosen production, costumes vary in extravagance. Young people today are more skilled than ever before in things like makeup, hair and crafts thanks to the dawn of the YouTube tutorial. So whether it’s for a smaller class production or a huge, sweeping musical, draw up a list of who can do what. Encouraging students to teach each other things like stage makeup in their own time will also prove helpful. Factor costuming into your budget: not only will it help students feel professional and get into character, but it will also elevate the production level of the show as a whole. Talk to suppliers and get some quotes because the affordability might surprise you. Copyright is a big question for school performers. The temptation may be to create something original; perhaps student-written. As any teacher who has attempted this will know, though; it’s quite hard to do. Asking a large group of students to write something succinct can be a gamble, particularly if you plan to showcase the production to parents and friends at the end of the year. If they do write their own material, they must be wary of plagiarism. Students might not know that mentioning a movie or anime character counts as copyright infringement. Modern adaptations of classic works are popular in schools because there’s no need to get a licence (the works of Oscar Wilde included). You also don’t need a licence if you’re not going to be performing for the general public or outside school hours. This is regardless of whether you charge money for tickets. Any song, musical or play will also have some kind of royalty fee attached so find that out before choreography rehearsals begin. Quality performances bring out the best in students and showcase a school’s vision. Acoustics and stage lighting are critical. From the stage itself, what material it’s made from and how the microphones are hooked up, to your on-campus venue. Luckily, most suppliers will take you through all the equipment when they help install it, so that staff and students will be able to operate the AV controls themselves. 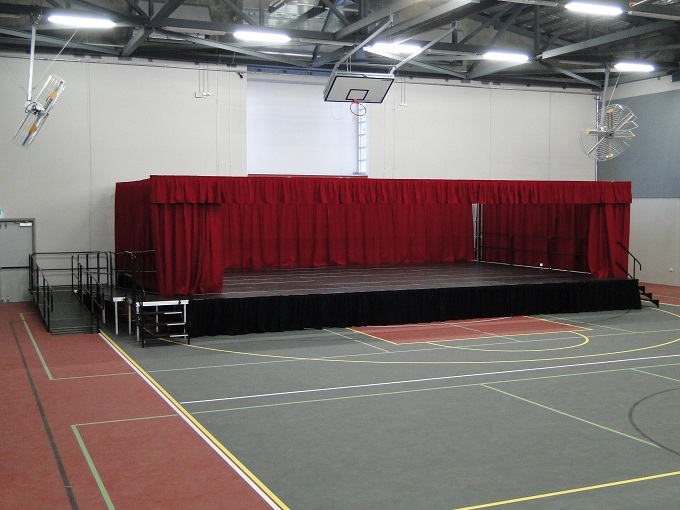 If you don’t have space for a permanent stage, portable stages are available that can be set-up in-or-outside, these work well for schools with a budget as they are so multipurposed. 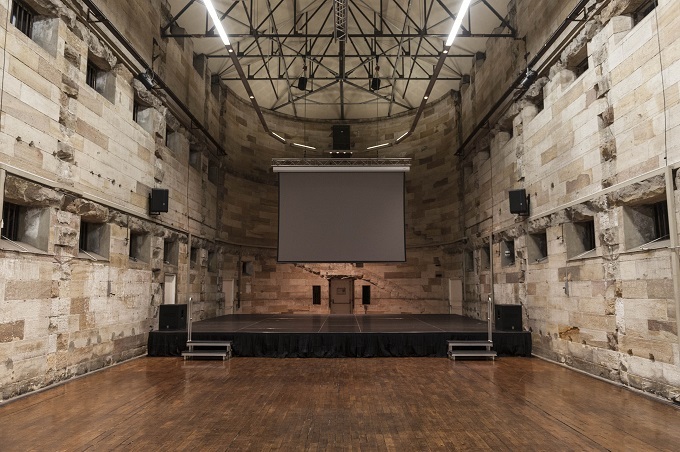 That said, dance, sports, music and theatre all have different acoustic requirements from a stage, so please discuss intended use with your chosen supplier. If you will be hiring equipment, aim to negotiate long-term and plan for multiple performances at once to get a better quote. Projectors, screens and special effects lighting are all versatile and, in the case of lighting, essential to any performance. Theatre is serious stuff. Not only is sincerity required to create something authentic onstage, but the skills gained in taking part are skills that set you up to cope with the big stuff in life. Resilience. Communication. Empathy. Humility.